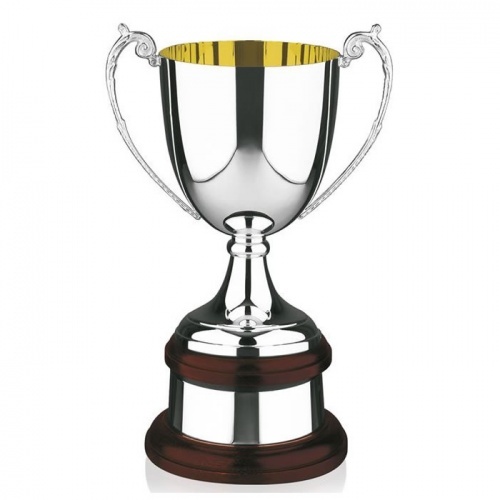 Goldplated trophy cups from Awards Trophies Supplier .co.uk. 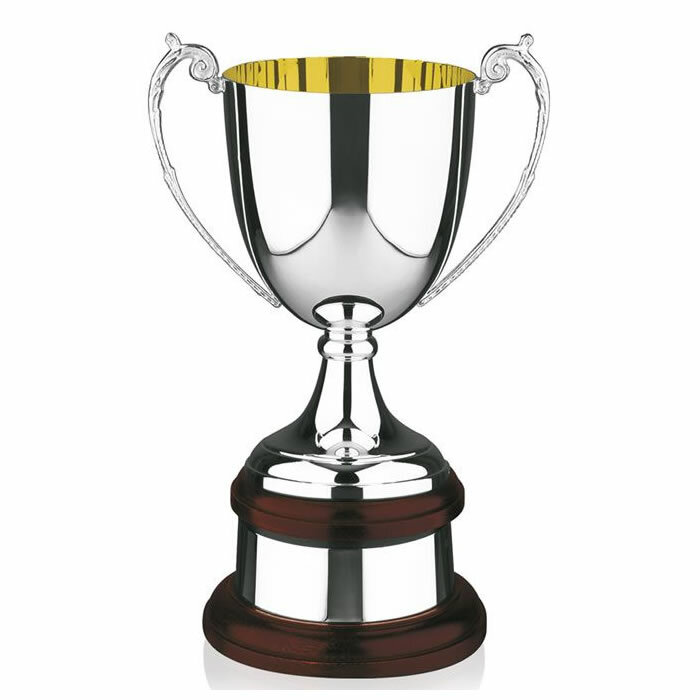 Heavily silverplated trophy cup with bright goldplated interior. Mounted on a solid mahogany circular plinth with integral silverplated plinthband. 13in tall. Ideal sports trophies awards.